All the grapes for DeLille Cellars’ 2015 Harrison Hill come from a small, storied vineyard in the Yakima Valley town of Sunnyside. The vineyard was first planted in 1914, then replanted to Bordeaux varieties in 1962. Winemaker Chris Upchurch recognized it as a special place in the 1990s and has been making this blend of cab, merlot and cab franc for more than 20 years. It’s a wine that speaks to a place like no other in Washington. Vertical tastings have indicated to me that it also ages beautifully, so it can be tucked away in your cellar without worry. Looking over this list, I think 2018 was the year I fell in love with petit verdot. I also began to more fully appreciate and understand Washington cab franc, and my love for Washington malbec apparently continues unabated. Rhone red varieties also are well-represented here, as they continue to be our state’s most fascinating wines. 1. DeLille Cellars 2015 Harrison Hill, Snipes Mountain, $90: This cab-leading blend from a top Woodinville winery is among the most interesting wines made in Washington. It is a beautiful wine, with smoky aromas of cocoa, plum and cassis, backed by graceful tannins. Can’t wait to see how this ages. I bet it’ll be spectacular. 2. Walla Walla Vintners 2015 cabernet sauvignon, Walla Walla Valley, $45: A big, powerful red from a legendary Walla Walla winery, loaded with flavors of black currants, ripe plum and blackberry pie. 3. Long Shadows Vintners 2015 Sequel syrah, Columbia Valley, $60: Top Aussie winemaker John Duval shows us why Washington syrah deserves a place on the world stage. 4. Abeja 2016 Heather Hill cabernet franc, Walla Walla Valley, $72: This breathtaking wine managed to change my mind about cab franc. A stunning, graceful wine with gentle tannins. Available to the mailing list only. 5. Barnard Griffin 2014 Lonesome Springs Ranch grenache, Columbia Valley, $35: This magnificent wine reveals the potential of this Rhone variety in Washington. Note to growers: Plant more grenache. 6. Wild Goose Vineyards 2017 Mystic River Gewürztraminer, Okanagan Valley, $20: Everything I hope for in gewürz: aromas of rosewater and orange zest; flavors of apple, citrus, kiwi and star fruit; all with unreal acidity. 7. Kiona Vineyards and Winery 2014 Old Block cabernet sauvignon, Red Mountain, $75: From the first cab vines planted on Red Mountain comes this firm cab, loaded with flavors of black currants, blackberry and hints of sage. This should age magnificently. 8. Maryhill Winery 2015 Elephant Mountain Marvell, Rattlesnake Hills, $44: I think GSM blends are among the most interesting wines made in Washington, and this example leads the way. 9. Water from Wine 2014 cabernet sauvignon, Horse Heaven Hills, $30: This nonprofit winery in Paterson donates all proceeds to clean-water projects around the world. This wine by Charlie Hoppes is as spectacular as the idea. 10. Wautoma Wines 2015 StoneTree Vineyard malbec, Wahluke Slope, $48: Tri-Cities winemaker Jessica Munnell makes magnificent malbec from a top Wahluke Slope vineyard. Loaded with blackberry, blueberry and dark chocolate. 11. Woodward Canyon 2017 chardonnay, Washington, $49: Blending grapes from the Columbia Gorge and estate grapes produces a wine that is as harmonious as it is delicious. 12. Clearwater Canyon Cellars 2016 Verhey Vineyard malbec, Washington, $32: Lewiston winemaker Coco Umiker brings in grapes from Washington’s Rattlesnake Hills for this deeply delicious red. 13. DeLille Cellars 2014 Grand Ciel cabernet sauvignon, Red Mountain, $160: Pricey? Yeah, but this generous cab from a meticulously farmed estate vineyard is incredibly layered, with tasty flavors of black currant jam, blackberry syrup and dark chocolate. It will only gain complexity with time in the cellar. 14. Amelia Wynn Winery 2015 syrah, Walla Walla Valley, $32: Bainbridge winemaker Paul Bianchi uses Walla Walla grapes to craft this dusty, complex syrah. 15: Maryhill Winery 2015 Art den Hoed petite sirah, Yakima Valley, $32: This Goldendale winery crafts a sturdy red from a classic old vineyard in the Yakima Valley. 16. Woodward Canyon 2014 Old Vines cabernet sauvignon, Washington, $99: Historically, one of the most consistently delicious cabs in Washington, and this vintage doesn’t disappoint. 17. Saviah Cellars 2014 reserve cabernet sauvignon, Walla Walla Valley, $45: Owner/winemaker Richard Funk crafts some of most graceful, complex wines in Walla Walla. This big red shows off layers of plum, blackberry, Bing cherry and black olive. 18. Telaya Wine Co. 2016 Turas red, Snake River Valley, $32: An imaginative blend of Rhone and Bordeaux varieties shows creativity and grace from a winery near downtown Boise. 19. Browne Family Vineyards 2015 Tribute red, Columbia Valley, $30: I’m a sucker for reds with big shoulders. This blend of petite sirah, petit verdot and malbec checks all the boxes for me. 20. Robert Karl Cellars 2015 cabernet sauvignon, Horse Heaven Hills, $32: This Spokane winery has a reputation burnished from one tasty red after another. This cab is loaded with dark fruit, backed by persistent tannins. 21. Ste. Chapelle 2015 Panoramic Idaho petite sirah, Snake River Valley, $28: My love for this variety is well-documented, and this version from Southern Idaho surprised me with its bold plum, cocoa and spice notes, backed by bold tannins. 22. Convergence Zone Cellars 2013 Black Cloud malbec, Red Mountain, $35: This North Bend winery quietly makes a name for itself by bringing in grapes from top vineyards and crafting delicious wines. This syrah is loaded with flavors of plum, black licorice and blackberry jam, backed with firm structure that pairs well with grilled meats. 23. 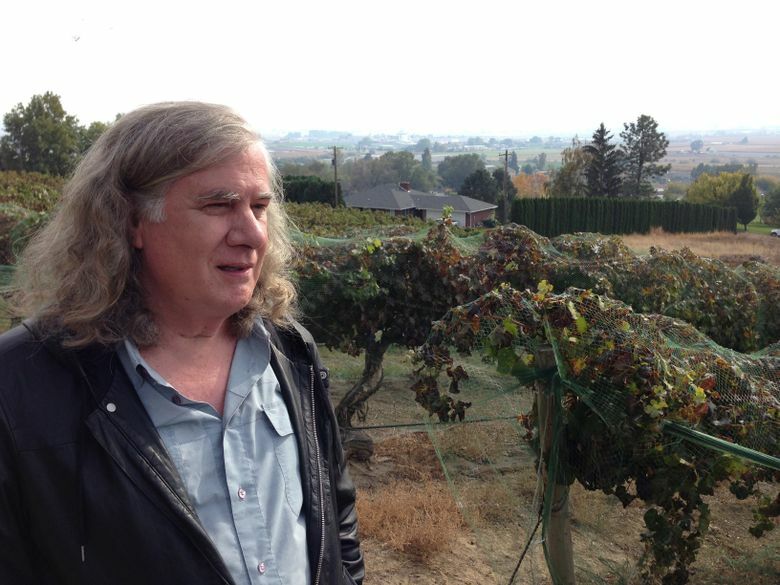 Cloudlift Cellars 2015 Stratus petit verdot, Yakima Valley, $32: Tom Stangeland is a winemaker and furniture craftsman in South Seattle, building a reputation for crafting wines of structure and depth. This petit verdot reveals incredible depth of flavor and spices, backed by bold tannins. 24. Tightrope Winery 2017 riesling, Okanagan Valley, $22: This superb riesling from north of the border reveals the perfect tension between acidity and flavors of orchard fruit and spiciness. 25. Upchurch Vineyard 2016 Southwest Facing sauvignon blanc, Yakima Valley, $36: Winemaker Chris Upchurch crafted this delicious white using grapes from famed Boushey Vineyards. Aging in concrete leaves this with a fascinating minerality that makes it a perfect wine to sip while slurping fresh oysters. 26. Wit Cellars 2015 cabernet franc, Yakima Valley, $45: This little winery in Prosser continues to overcome many obstacles, and all it does is craft one superb release after another. This cab franc is nicely balanced, with plenty of dark fruit flavors without an emphasis on natural herbal qualities. 27. Barrister Winery 2014 petit verdot, Columbia Valley, $41: This wine from a top-flight Spokane producer reveals everything I love about PV: rich, dark, spicy fruit flavors, backed by structural integrity built on both tannin and acidity. Perfectly balanced in every way. 28. Chateau Ste. Michelle 2014 Artist Series red wine, Columbia Valley, $65: Winemaker Bob Bertheau and his team craft this cab-leading blend using grapes from top vineyards across the Columbia Valley, resulting in a wine of graceful fruit that will increase in depth and complexity with time in the cellar. 29. L’Ecole No. 41 2015 Seven Hills Vineyard Estate Perigee, Walla Walla Valley, $55: This cab-leading Bordeaux-style blend from a top Walla Walla Valley winery reveals seductive aromas of blackberry jam, elegant spices and an opulent mouth feel. 30. Obelisco Estate 2014 malbec, Red Mountain, $50: Red Mountain is proving to be a great location to grow world-class malbec, as this estate winery proves vintage after vintage. With bold black and blue fruit wrapped in dark chocolate, backed by structure that is more reliant on acidity than tannin, this is a nice tribute to owner Doug Long, who passed away last year. 31. Ginkgo Forest Winery 2012 petit verdot, Wahluke Slope, $30: This little-known winery near Mattawa is crafting delicious wines from estate grapes grown in the warm Wahluke region. This is a big, round, ripe version of petit verdot that should be a hit with syrah lovers. 32. Col Solare 2015 malbec, Red Mountain, $85: Another sublime malbec from Red Mountain, loaded with dark fruit and backed with knee-buckling structure. 33. Plain Cellars 2015 petite sirah, Yakima Valley, $35: Among my favorite petite sirahs, this comes from a small winery in the Cascade foothills town of Leavenworth. 34. Sovereign Cellars 2015 cabernet sauvignon, Red Mountain, $35: This winery in Olympia brought in grapes from warm Red Mountain to craft a muscular red loaded with dark red fruit and hints of smoky vanilla, backed by firm tannins. 35. Mosquito Fleet Winery 2014 cabernet franc, Columbia Valley, $32: This Belfair producer crafts small amounts of high-quality wines, mostly reds, using grapes from top vineyards. This is the kind of cab franc I adore, loaded with red fruit, with the herbal notes providing the complexity. 36. Maryhill Winery 2015 McKinley Springs mourvèdre, Horse Heaven Hills, $34: This red Rhone variety is pretty sturdy, which makes it a good blender. This rare stand-alone version is bursting with flavors of black cherry, ripe plum, blackberry syrup and whispers of complex spices. 37. Château Faire Le Pont Winery 2014 petit verdot, Yakima Valley, $40: This has been the year I fell in love with this Bordeaux variety, and this sturdy example from a Wenatchee winery is loaded with black currants, cocoa and ripe blueberries, all backed by assertive tannins that lead to a spectacular finish. 38. Cascade Cliffs Vineyard & Winery 2016 nebbiolo, Horse Heaven Hills, $50: I adore this sturdy Italian grape, and this example reveals the promise Washington holds, thanks to its classic notes of black cherry, ripe raspberry and dried cranberry, all backed with sturdy tannins. 39. Kettle Valley Winery 2015 Crest Vineyard cabernet sauvignon, Naramata Bench, $38: Among my favorite wines in the Northwest, this cab from an unusual location gracefully provides complex aromas of sandalwood, spiced plum, maple syrup and dark chocolate, all backed by hefty tannins. 40. Fidelitas Wines 2015 estate vineyard cabernet sauvignon, Red Mountain, $75: Of Charlie Hoppes’ six Red Mountain cabs, this might be his best, thanks to classic flavors of cassis, black licorice, black olive, graceful spices and hints of sage, backed by expertly balanced tannins. 41. 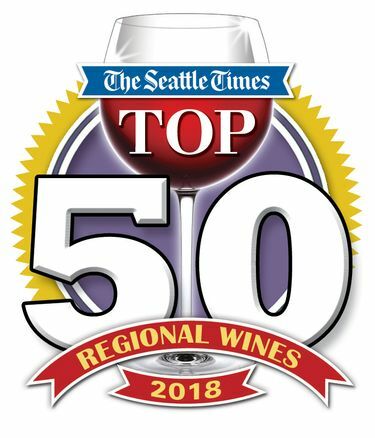 Figgins Estate 2016 riesling, Walla Walla Valley, $30: From the producers of Leonetti comes this sterling riesling, bone dry, with dramatic acidity backing fresh orchard fruit. 42. Pursued by Bear 2013 Baby Bear syrah, Columbia Valley, $60: Hollywood star Kyle MacLachlan (“Twin Peaks,” “Dune”) keeps his connection to his home state through his Walla Walla winery. This syrah is a gorgeous example, with ripe plum, blackberry jam, dark chocolate, vanilla and spices. 43. Chateau Ste. Michelle 2015 Cold Creek Vineyard merlot, Columbia Valley, $36: What I love about Washington merlot is it’s a big wine, often on par with cab. That’s probably why I like this example from a classic Washington vineyard: big plum, cassis, horehound candy, unapologetic tannins. 44. Barnard Griffin 2017 Rosé of Sangiovese, Columbia Valley, $12: This is the standard in the Northwest for pink wine; it’s bone-dry, bursting with flavors of cranberry, raspberry, strawberry and cherry. 45. Clearwater Canyon Cellars 2016 Heritage Series cabernet franc, Lewis-Clark Valley, $32: I tasted this early in the year and couldn’t get it out of my mind. Graceful flavors of red currants, Bing cherry, cocoa powder and spices, all backed by mild tannins. Wine club only. 46. Burnt Bridge Cellars 2015 Les Collines Vineyard syrah, Walla Walla Valley, $35: This Vancouver, Wash., winery brought in grapes from a top Walla Walla vineyard to craft a delicious, classic syrah, with flavors of black pepper, ripe dark berries, exotic spices and hints of black olives. 47. Jones of Washington 2016 viognier, Wahluke Slope, $15: If there is a classic example of this Rhone white, this is it, thanks to creamy, luscious aromas of orange, vanilla and lime zest, followed by creamy mouth feel, backed with a surprising amount of acidity. It’s all about balance, and this has it. 48. Wind Rose Cellars 2013 primitivo, Yakima Valley, $25: Sequim winemaker Dave Volmut focuses on Italian varieties, and Primitivo is thought to be a clone of zinfandel, increasing its popularity in Italy. This example reveals classic notes of ripe raspberry, Bing cherry and cranberry compote, all backed by racy acidity. 49. Huston Vineyards 2016 malbec, Snake River Valley, $29: This malbec is fascinating, primarily because the vineyards of Southern Idaho are pretty high-elevation, just like those in Argentina. Not sure there’s a correlation there, but it’s worth exploring, and this example is loaded with dark, ripe fruit and black pepper, backed with classic mild tannins and firm acidity. 50. Westport Winery NV Rapture of the Deep, Washington, $29: Aberdeen winemaker Dana Roberts brings in cranberries from the nearby Cranberry Coast for this sparkling delight that screams purity of fruit, perfectly delightful for your Thanksgiving feast.